Do you live in the Cheshire, Staffordshire or Wiltshire Area? 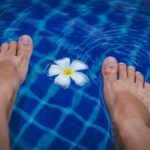 Are You Curious How Reflexology Can Help You? Are you fed up with feeling unwell ? Do you suffer from back pain, stiffness or joint pains? Have you been diagnosed with a chronic illness such as fibromyalgia? Are you finding it a challenge to do what you want to do regards activity? You may be taking prescribed or buying lots of medication that can be drastically reduced. Are you confused about which alternative therapy may be the best for you? The good news is that Anne can help to solve or make your problems more manageable and less of a nuisance in your life. 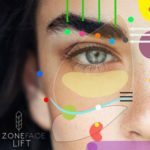 Using one or more treatments, Anne will help to find the best therapy for you incorporating various techniques such as NEPIP, hand and facial reflexology. 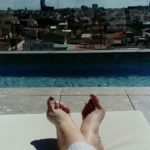 Anne has a passion for both reflexology and mindfulness, and believes that it is extremely important to combine these in her clinical reflexology practice. 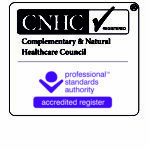 Her aim is to work with you and to support you in achieving a balanced mind and body. An investigative session to identify and understand you as a person, your health and concerns. This is also an excellent treatment for helping balance the body and maintain good overall health. It is relaxing and great to have regularly or to give yourself “you time” once in a while. This is an ancient healing treatment using heated stones on the legs, calves and feet. Your body relaxes on a deep level, and the treatment calms your senses and relaxes muscle tension whilst creating balance within your body. I trained with Sally Kay, who developed this wonderful method that has attracted international awards and widespread recognition. 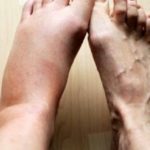 Reflexology lymphatic drainage can help with fibromyalgia, allergies, rheumatoid arthritis and other auto-immune disorders, and premenstrual fluid retention. Yours hands, like your feet, have reflex points that also corresponds to your body and is just as effective. This is an excellent alternative for clients who don’t like their feet being touched. This treatment helps to release muscles tension and increasing circulation leaving you totally relaxed, improving skin tone and promoting lymphatic drainage, and stimulating the body’s healing mechanisms. This treatment helps with deep pain and anxiety issues and enables long-lasting healing. NEPIP reflexology connects the emotional body with the physical body. I may recommend this as part of a deeper treatment package. Enhance your loved ones wellbeing with Reflexology. Discover the wellbeing Reflexology points on your partners hands and feet. Learn a mini treatment that you can both enjoy at home. Relax and Revive together. Host a Reflexology Taster Party and experience a free taster treatment. Guests pay £10 each. A great get together with friends to reduce stress and relax.